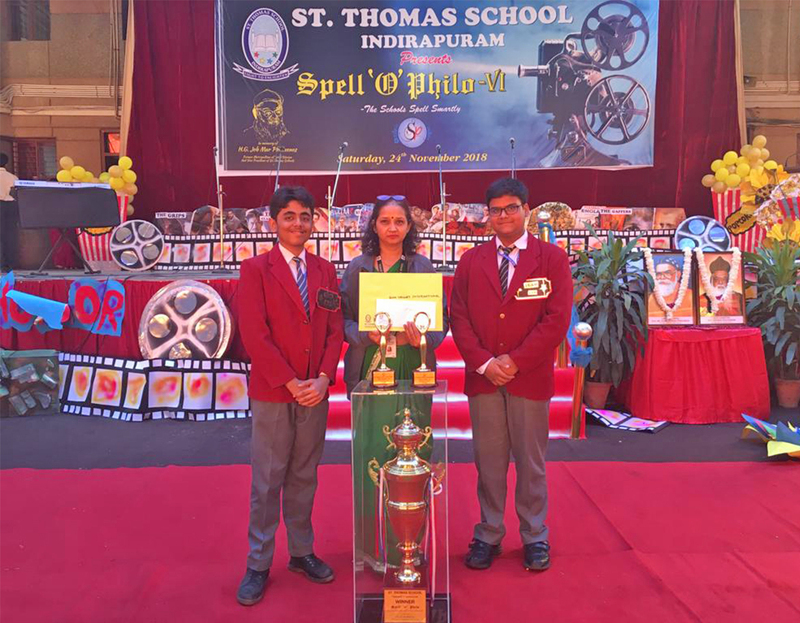 St. Thomas School conducted Spell— o—Philo an inter school spelling competition on 24th Nov. 2018 in which 20 teams from schools of Ghaziabad participated. The competition aimed at making students aware of the spelling & the usage of many unfamiliar words. The first round was a written qualifier round from which 5 teams were selected for the finals after a dictation test. Out of the five teams our school team of Farhat Raees (X) & Ashutosh Singh (IX) bagged the first position and our school team won the “Best School Rolling Trophy”.